Our mobile eye tracking solution, the mobileeye, is used to monitor what people are looking at as they move around (or as the object they’re looking at moves). Typical scenarios are shopping, media consumption, and product testing, but we’ve undertaken many others. The equipment and associated software we use produces consistently more accurate and detailed data than any other solutions on the market. We know this because we’ve tested many of the other new solutions, and sadly most don’t deliver what they promise. Offer interchangeable recording lenses. This allows high magnification, especially important for recording natural smartphone activity. Mobile eye tracking isn’t cheap, but it produces invaluable insights in to what people are actually looking at, rather than what they say they’re looking at, if conducted using the best eye tracking solution on the market. The video below was a respondent that took part in a study we ran in T5 Heathrow, he is wearing a set of eye tracking glasses. Please note that none of the other travelers take any notice of him as he goes about his journey completely normally. 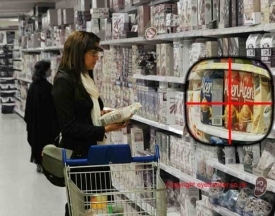 eye tracking is an adaptable research tool, that may be used in many ways to monitor the human eye and to track exactly what is being looked at, and for how long. View our case studies for a brief insight into the power of this technology and its uses on varied applications.